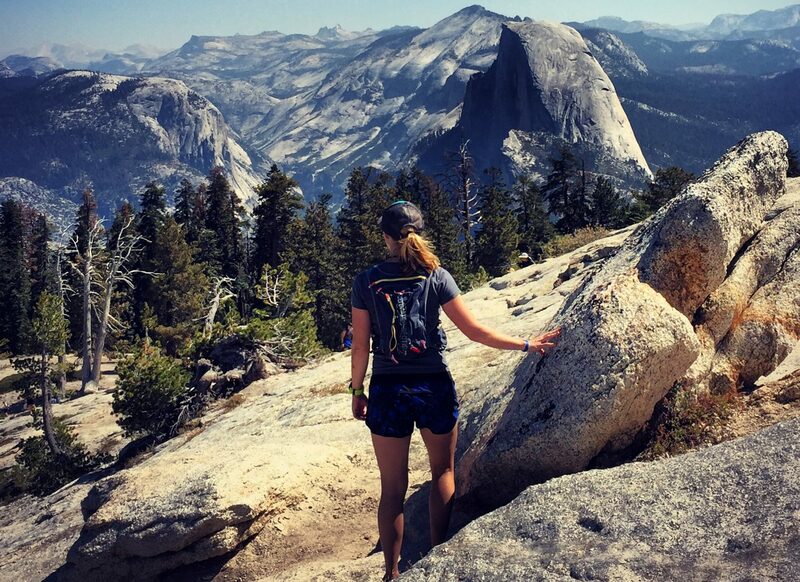 Dirtbag Runners Apparel: Join our tribe. This is the raddest community of dirtbags and wanderers you could ever imagine. If you love to run trails, this is for you. If you love to explore, get dirty, and live a minimalist lifestyle, this is for you. Not to mention, you look pretty fly. Crista and Michael have been working on making the clothing more eco-friendly, and have recently introduced a line that is made from recycled and organic cotton, so you can more easily love your Mother. Ultimate Direction Jenny Vesta I absolutely love this pack. The soft flasks in the front prevent the rib bashing from the harder bottles, and this thing practically molds to you when you put it on. Absolutely amazing for stuffing all your gels and food into the front pockets and plenty of compartments to put your other gear. There is even gear loops in the back to put your trekking poles or ice axe, and the back mesh keeps me so much cooler. 2. YOGABODY Naturals Toe Spreaders and Separators Two Pairs in Wooden Box Yoga Toes: This product helps to restore the natural shape of the foot, effectively freeing your foot from your custom orthotics, huge support shoes, and the label Overpronator.Read more in this post. My original love is Correct Toes, made my Dr. Ray McClanahan in Portland, OR. BUT, YOGABODY Naturals Toe Spreaders and Separators Two Pairs in Wooden Box Yoga Toes are a good cheaper option that can still be worn in shoes. 3. Catie’s Organic Greens Holy cow, I love this stuff. You feel cleaner and more energized with your first scoop mixed in to vanilla soy milk. We heard about it via Laird Hamilton, the beast surfer with amazing workouts, so we figured it must be good. Talk about staying regular too… According to the website, 1 tablespoon is the equivalent of 7 servings of the most potent green vegetables. Yes please! 5. Fluid Performance Nutrition: My favorite is the blueberry pomegranate. The powder is very subtle, but has the necessary calories for energy on longer runs plus electrolytes and hydration. This product has also never upset my stomach, and has less sugar than Tailwind or other products. Less bonk equals longer run! Great! Vegan, gluten-free. 6. Injinji Women’s Run Lightweight No-Show Socks (Medium/Large, Fern) Injinji Socks: I LOVE these socks!! They’re just great, I love wearing them with Vibram Five Fingers, but also every day wear and DEFINITELY every run. Each toe gets its own little compartment, so the sock facilitates the natural toe spread. They’re making thinner ones now which I love, as well as compression socks. Everybody wins! 7. Lara Bars: Made with real ingredients that you can pronounce, these are one of my favorite foods to fuel a long run. I love the ones made with dried cherries and dates! They are so delicious, and save me from cooking my own food to take on a run. 8. Avene Thermal Spring Water: For those of you that know me, I have had problematic skin for a long time. Nothing soothes my skin like spraying this on my face after a run or after washing my face. The best thing for skin plagued by acne, perioral dermatitis, rosacea, etc for reducing redness, hydrating and feeling amazing. 9. Spirulina: Some of you know about my love affair with Energy Bits as an ambassador, and I absolutely love this product. Spirulina is such a pure energy source and has the highest amount of protein per weight out of any food in the world. Energy Bits is a wonderful brand, but can be a bit expensive. That being said, you can still get a 30% discount using my code BAREFOOT at checkout. If you want a cheaper option, this spirulina through Amazon is affordable and still fantastic. 10. Merrell Pace Glove: Or Trail Glove. Or whatever they’re calling it these days! The women’s and the men’s have different names, I can’t keep up. Whatever it’s called, it’s a great shoe and I love being able to feel the trails, still have full toe splay and normal foot movement. Great for those of us who love to feel the trail, just not necessarily every. single. rock. 11. Foam Roller: If you are a runner and don’t have one of these babies, get off my page. Haha! Just kidding, don’t go. But seriously, this is almost a requirement to help roll out the kinks, taut bands, bound down fascia and provide a deep tissue massage to yourself. You’ll recover faster and prevent injuries at best. I just recommend the basic 36 inch roller.